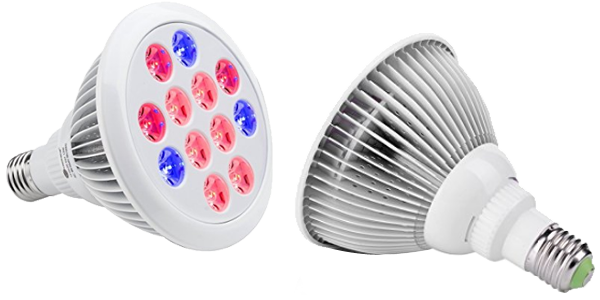 A LED grow light is regarded as one of the essential and an effective tool in growing indoor plants. 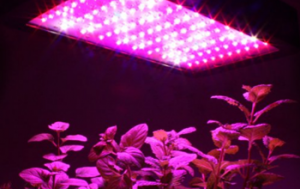 Along with the development in the field electrical components and especially LED lights & related components in marketplace, there are number of different LED grow lights available in the market to choose from. It’s an easy pick for the people who are in the growing field for a long period of time but for most of the people who are new to the indoor growing arena, it’s a difficult task to choose the right LED grow lights. However, if you don’t want to regret on your grow light purchase later, you need to become a smart purchaser. For you to be a smart purchaser you need to be aware of every aspect of the product you are buying. It is necessary for you to consider different attributes of the product(s) before choosing the best one. We are here to help you make you a smart purchaser by proving you information about best led grow lights available in the market so that you find and buy the right item, which will give you the best value for your money. Read along this comprehensive guide to buying the best LED grow light for your next indoor growing project. Find the best features to look for, best brands available, and the right type of grow lights that will fulfill your requirements. We are not discussing about LED vs. HPS, LED vs. CFL, and LED vs. MH etc. These all lights are proficient of growing quality plants indoor. If you want to read more about the difference between these lights click on the respective link above and read more about the differences. For now we are considering that you already set your mind to buy the LED instead of the above mentioned lights. So let’s get started to finding prefect lighting solution for your indoor gardening. Grow lights can range from $20 – $2000+. You should decide on a price range that you are thinking to spend on and consider it as a long term investment. Note that some people think expensive items are of good quality but that is not the case with this product, sometime cheaper products is better than the costlier one. Before buying a grow light, check how often you need to replace its bulbs (LEDs) and the cost of replacements. Changing the LED lights, when needed, are not expensive but you would be wise to know their costs and be sure of easy availability. This is very important factor for choosing the grow light, the area of plantation. You can’t just pick any light, first you need to calculate the area and buy the light with precise watts. You won’t get a great crop if you either put less or more watts of light. For example, find out watts (W) of light an area needed to properly grow plants in 1 square feet, and then calculate the area of plantation. Use below equation to get the total watts needed for a growing area. So suppose you have an area of 5 x 5 that is 25 square feet, we know that about 30-50 watts of light is sufficient to produce plants in one square foot, so use the above equation to calculate the amount of watts needed to cover the 100 sq. ft. plantation area. Note we assume 40w/sq. ft.
You need 1000 wattage of lights to cover 5 x 5 plantation areas. If you follow this equation and put the precise lights, then you will get the optimum result from your led grow lights. This is yet another important factor you should consider while buying an LED light. Every plant is different in characteristics of size, height, and various aspects needed to grow properly. Each plant needs various ranges of lights, you should first find out what type and how much light is needed for a plant to grow properly. The light source should match as much as possible the needs of the plant. In that case, if you buy a light with low watts or with dissimilar bands or spectrum, then you may not get the desired output. Look for the LED lights that support more bands so that can be utilized for growing various plants also look for the presence of UV (ultraviolet) and IR (Infrared) bands. We did not find LEDs in the precise spectrum range that the plants need, so we must at least find LEDs which are the closest to the maximum in the curves. Have a look at this image for what a light spectrum look like. With so many different LED grow lights how do you know which light to buy? This is the question tackle by many newbie indoor growers. Adding LEDs to your growing area can be a very good decision and the results will be very worthwhile if you get a high performance light and buy top level product. To help you get started in buying the best LED grow lights, here are the top 3 grow lights hydroponic gardeners buying like a hot cake on Amazon. Learn more about the features and benefits of each one, and choose the right one that fits your needs. This is the best selling LED grow light on Amazon(as of writing this review). The TaoTronics E27 growing lamp comes with 1 year guarantee. Its 12w that cover area of 2.7-10 square feet. The lamp emit the wavelength of light which can be fully absorbed by the plants photosynthesis, no energy is wasted. It doesn’t waste much light due to this it is much more efficient and suitable for all stages of plant’s growth, no matter if its flowering and fruiting stage. TaoTronics E27 is suitable for a small home garden. 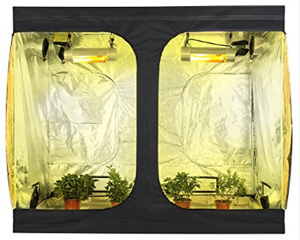 Aside from the good quality LEDs, it also have the ability to keep the heat off plants by using a grade aluminum and by using a unique heat sink, the LED maintains a cooler temperature even after 24 hours of continuous use. its lasts far long than the traditional grow lights. The Miracle LED Grow lite is feature rich yet inexpensive option and a great buy for the small size indoor garden. This light comes in different sizes and watts. The smallest one is only uses 2 watts, runs on 120VAC power and can be fit in any standard E26/E27 sockets. One of the big reasons to like this grow light is highest lumen output at the lowest wattage and cost less than the other competitors. This LED do not produce any ultraviolet rays and 30,000 hours estimated lifespan makes it a perfect selection for a small indoor garden. The GalaxyHydro is really picks the users attention worldwide, it has already crossed 1250+ reviews so far on Amazon.com. It’s perfect for small and midsize indoor gardens. The light comes with 9 bands suitable for growing flowering and vegetables. 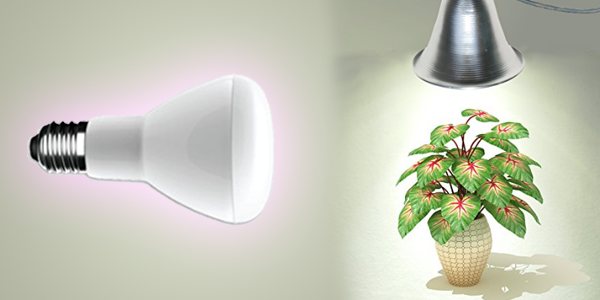 It also includes an Infrared (IR) Ultraviolet (UV) that puts useful light suitable for indoor plants. It comes with built in fans to keep circuit board cool so you won’t have to buy any extra fan for cooling the system. What makes GalaxyHydro light more attractive is the generous 2 years warranty, so you don’t have to worry about for at least 2 years from the date you buy it! 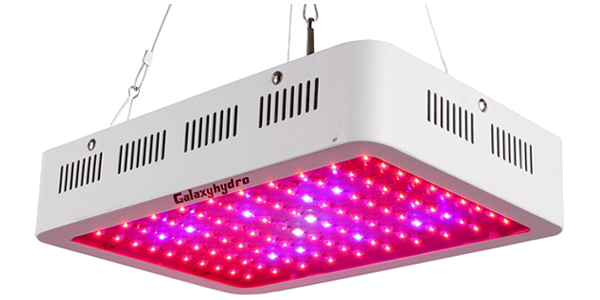 Read our full review of GalaxyHydro 300w LED grow light. Great to see you at the end of this article, thanks for reading and coming this far by reading our led grow reviews. It’ll be up to you to pick up something that’ll meet your needs and help you grow your indoor plants quickly and fruitfully and do so without breaking the budget. Since this is a consumer product, there will always be new and updated models that’ll be introduced every now and then by various manufacturers so we’ll keep updating this blog post. If you think we’ve missed out on any particular model in our list, let us know by contacting us – we want to be as responsive as possible and would appreciate your input. If you are looking for Best Full Spectrum LED Grow Lights, don’t forgot to click this link.